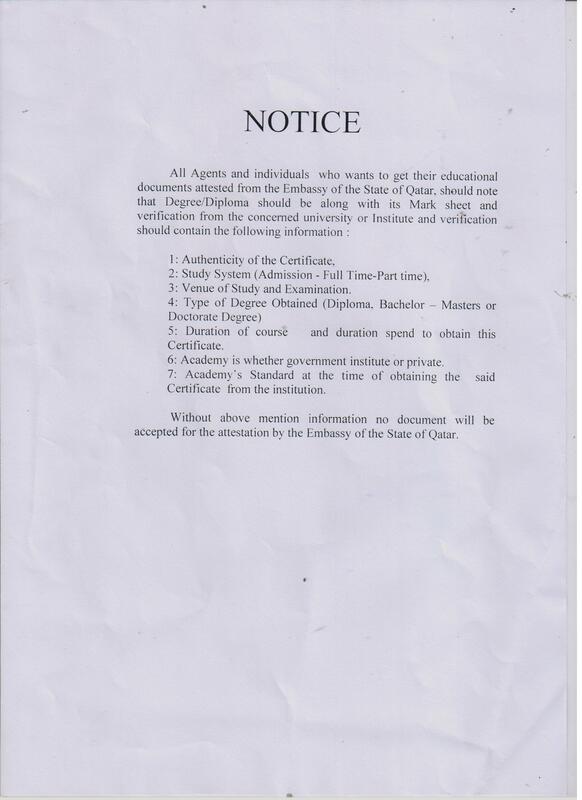 NB : Qatar embassy attestation, required University/Board/Institute/College verification letter to be attestted by Mantralaya + MEA + Embassy – Charges 2500/-. HRD Attestation is done from the states from which we acquired our certificates. For eg: if you passed your 10’th from kerala attest it on kerala. If you passed your degree from Bangalore you will have to attest your degree certificate from Bangalore.